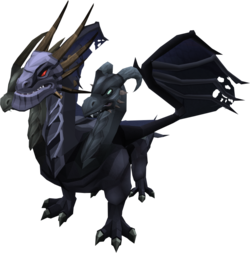 The King Black Dragon (KBD) is one of the easiest bosses in Runescape, but it can still be a formidable opponent for a low level player like myself. To successfully kill the KBD at least 2-3 times before going to the bank for supplies you will need at least level 80+ in both Defence and Magic, assuming of course you are using magic to slay this monster. A panic teleport tab will be useful!